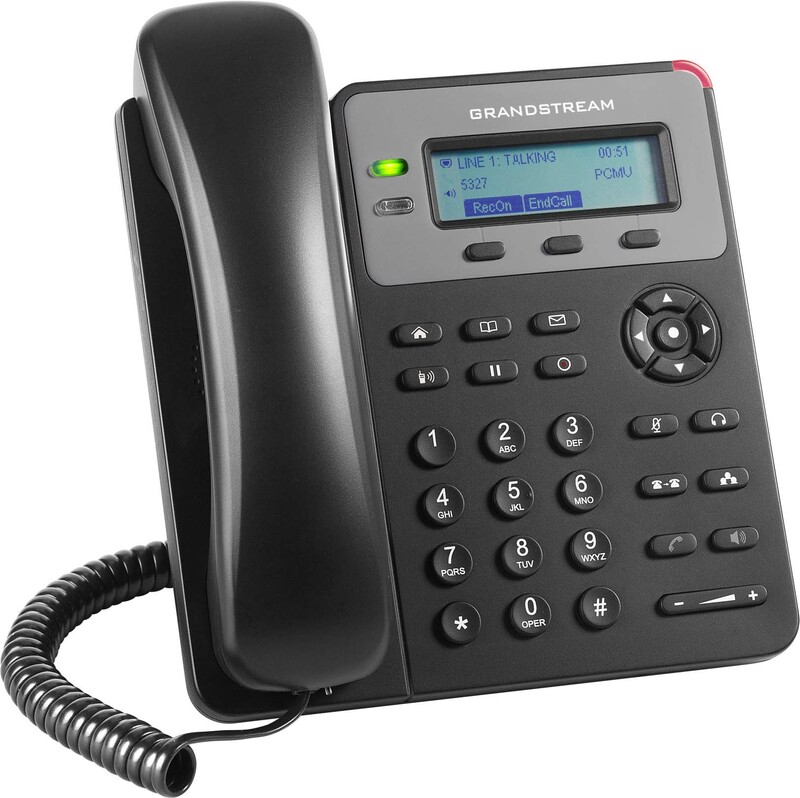 Outfit your office with brand new Grandstream GXP1610 telephones courtesy of Amp Telecom! 1. Make an appointment for a free demonstration and consultation. 2. Test the phones and service out in your own office for 2 or 3 weeks. 3. Sign up and get a free phone for each user! The GXP1610 phone delivers a user-friendly and intuitive communication experience. Complete with a 132x48 LCD screen, 200 record call history, conference calling, and state-of-the-art security encryption technology (SRTP and TLS) the GXP1610 is equipped for dependable phone access. The phone also offers 3 XML programmable soft keys and dual 10/100 mbps ports for a flexible user experience. On site consultations are only available in Austin, Texas and surrounding areas. Consultations and demonstrations outside of Austin, Texas are available through the Internet. The promotional phones are limited in supply. Once the inventory of promotional telephones has been depleted, the promotional telephones may not be available. This promotional offer is only available to new contracts of 12 months or longer and subject to one promotional telephone per user. Request an Office Demo Today!